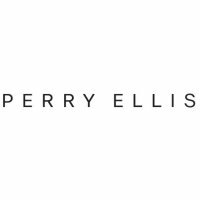 Perry Ellis offers a broad line of high quality men's and women's apparel, accessories and fragrances, as well as select children's apparel. This includes a wide collection of dress and casual shirts, golf sportswear, sweaters, dress pants, casual pants and shorts, jeans wear, active wear, dresses and men's and women's swimwear. CouponSurfer Rewards members get 3% cash back in-store. Just Click to Activate Offer. Find a Perry Ellis Store near you.